We had a quick breakfast in camp before hiking five miles into West Hartford, VT for a “full belly” breakfast at the general store. We didn’t leave a crumb on our plates. There had been a lot of damage in the village during Hurricane Irene in 2011, but the store looked great and great food to match. We hiked up and over the hills of eastern Vermont on our way to New Hampshire. The last few miles were all road walks. That really hurt our feet. We’re so used to walking on softer ground, that walking on pavement can be painful. 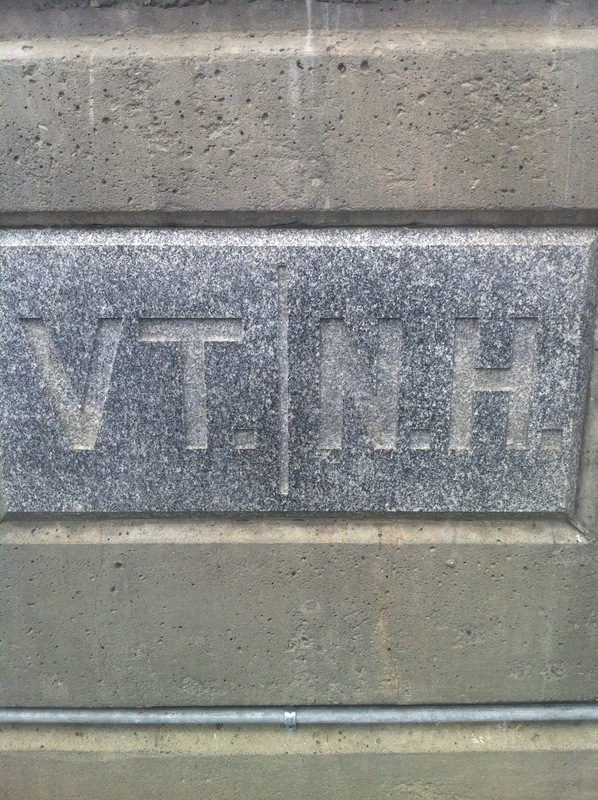 In the afternoon, we hiked across the Connecticut River and passed into our thirteenth state: New Hampshire! We’re in a state that borders Maine…well, it’s the only state that borders Maine. We took a break on The Green before grabbing a free slice of pizza at Ramunto’s. As we headed back to The Green to wait for my dad, he pulled up behind us and got a parking spot right downtown. I was really glad that my dad was able to come to hang out with us in Hanover on our zero day tomorrow. We’ve got a good day planned tomorrow and after getting all of gear ready and re-stocked, I won’t have to deal with any of that at all tomorrow. We ate dinner near our hotel, headed over to the Co-op to look around, and we are now watching the Red Sox. I’m dozing off to sleep as I write and listen to the game. Ready for our first zero day tomorrow since July 1st! I will do my best to post our last few upcoming town spots, so that anyone who plans to send a box will have some options. 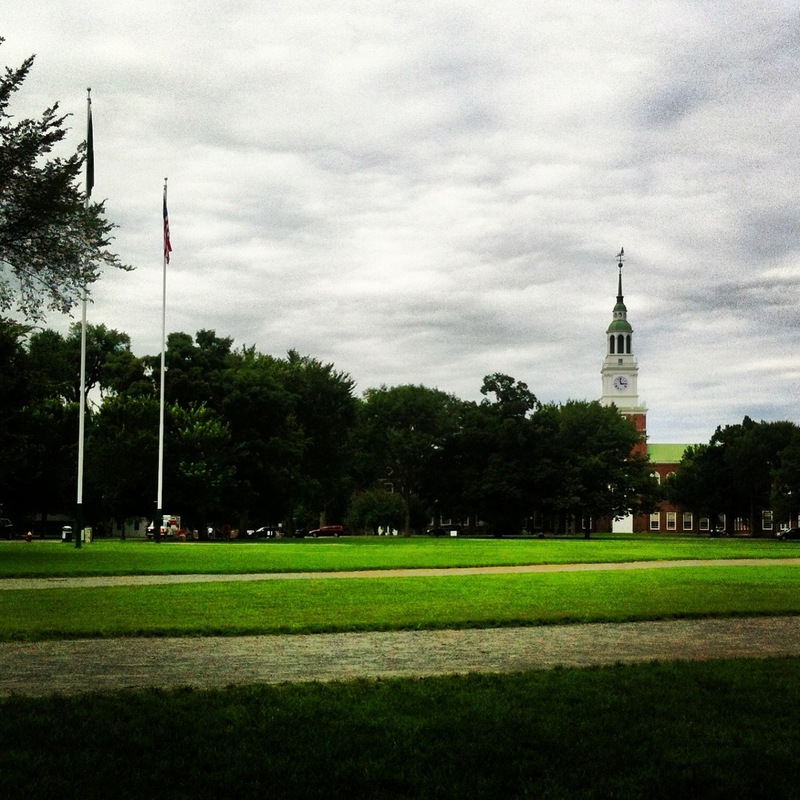 Beautiful Dartmouth Green. Been there many times; George is class of ’61!!! Be sure to look for the Robert Frost statue in the woods – a gift from his class several years ago.